This one is super simple and works with just about any pair of pants or skirt. Tucking in your top instantly adds polish to your overall look, giving off the impression that you’re thoughtful and particular about your outfits (like someone who only shops at Saks). We’re huge fans of monochromatic dressing. Not only is it super easy to do (since you’re taking matching out of the equation), it’s fashion-forward and chic, in a “what designer is she wearing?” kind of way. Is there anything groundbreaking about pairing black pants with a white button-down and black blazer? No, but it’s a sharp look that’s easy to nail. Piling trends on top of trends, on the other hand, can go from stylish to cheap in the blink of an eye. Especially accessories. 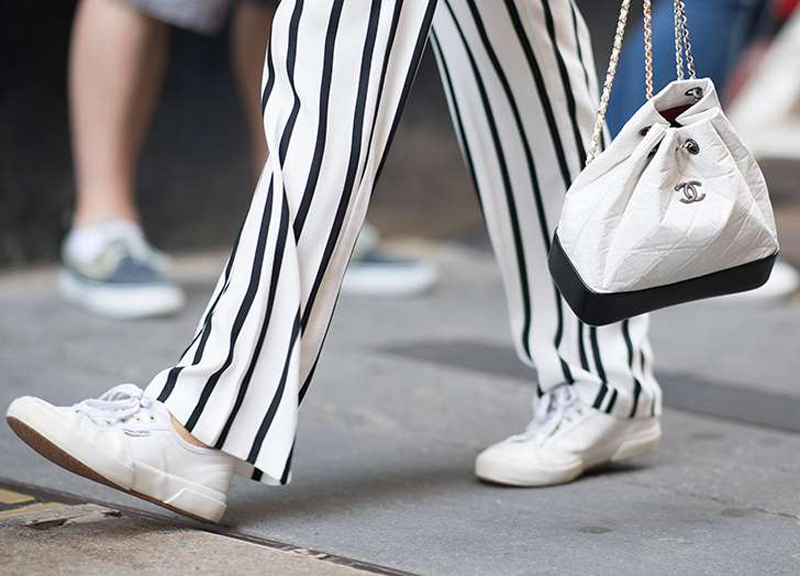 Dirty sneakers or a scuffed handbag look sloppy—even if the rest of your ensemble is on point. Clean ‘em up, friends. Speaking of accessories, know that this is where you should splurge. Think about it: You could be wearing jeans and a T-shirt from H&M, but if you’ve got a gorgeous quilted Chanel bag slung over your arm or across your body, that’s where people’s eyes are going to go. Yes, it’s an investment, but you can wear it day in and day out to elevate pretty much any look. Crazy prints are fun, but they can also look a little random and chaotic. When it comes to wearing them, if your goal is to look elegant, stick to bold, straightforward ones like leopard, and pair them with neutral colors like black, white and gray. There’s a time and a place for minis, but, in general, a midi-length skirt or dress always looks more refined.